Will any company step up and help Sony Pictures show the world "The Interview?" This weekend the embattled movie studio is in active discussions with potential distribution partners, figuring out if there's a way forward for the film that provoked a crippling cyberattack, an FBI investigation and a presidential critique of the company. Netflix (NFLX), YouTube and major movie theater owners are not commenting. 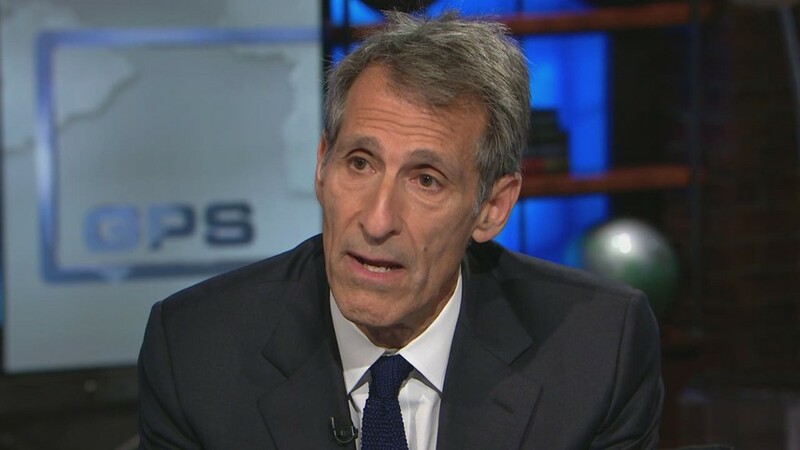 But CNN's Fareed Zakaria, who interviewed Sony Pictures CEO Michael Lynton on Friday, said later on CNN that he came away with the sense that "Sony intends to release this movie in some form, relatively soon. I don't think we're talking about six months from now. This movie will be seen." What was just a lousy comedy a few short days ago is now a symbol of two essential American values -- freedom of expression and freedom from fear. On Tuesday, the hackers that previously stole terabytes of data from Sony's servers explicitly targeted the Christmas release of "The Interview" by issuing a message that invoked 9/11. They warned Americans not to venture to movie theaters playing the film. Sony then signaled that movie theater owners could back out of plans to screen the film if necessary -- and they did just that, like a series of falling dominoes. The owners were concerned that families would forgo holiday season trips to the movies due to safety concerns and hurt every big Christmas film release, not just "The Interview." Backlash to the decision was ferocious. On Friday, President Obama echoed the feelings of many in Hollywood when he said Sony had made a mistake: "We cannot have a society in which some dictator someplace can start imposing censorship here in the United States." Obama also openly worried about the possibility of producers and distributors "engaging in self-censorship because they don't want to offend the sensibilities of somebody whose sensibilities probably need to be offended." Speaking to Zakaria shortly after the president weighed in, Lynton said he essentially agreed with the president -- but that Sony (SNE) couldn't go it alone. "We don't have that direct interface with the American public," Lynton said. "So we need to go through an intermediary to do that." Theoretical distributors include theater chains like AMC and Regal, if they're willing to reverse their prior decision; cable video-on-demand operators like Comcast (CCV) and Time Warner Cable (TWC); subscription streaming sites like Netflix and Amazon (AMZN); and movie rental services like iTunes by Apple (AAPL). Sony Pictures has a video streaming site of its own, Crackle, but it's free for users and doesn't have the capability to charge customers to watch a movie. 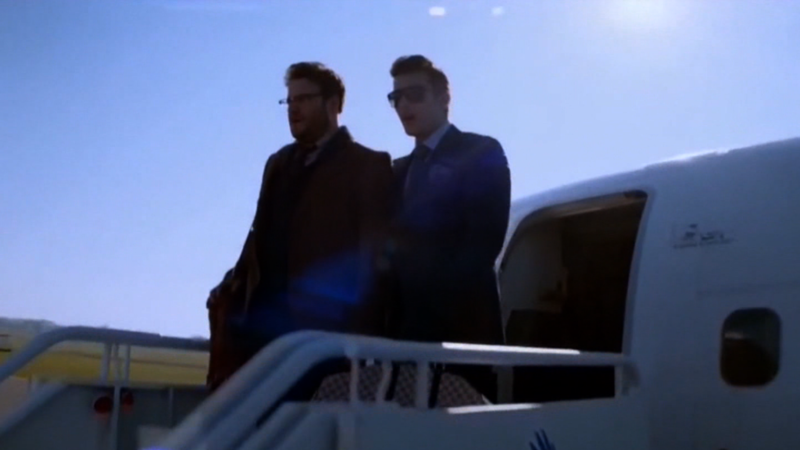 Charging for "The Interview" would help Sony recoup some of the movie's $44 million budget. One of the studio's sibling divisions, Sony Computer Entertainment, has another route to consumers: the PlayStation Store, which lets owners of the video game console rent or buy movies via the Internet. The company has declined to comment on whether it might choose to release "The Interview" there. Of course, Sony -- and any company that helps it release the film in the future -- has to consider the risk of further intrusions by the hackers and further leaks of the stolen data they already have. In a threatening message to executives on Thursday night, an anonymous hacker said Sony was "very wise" to cancel the film and claimed they would "ensure the security of your data unless you make additional trouble." Releasing the film in some form would presumably be considered "additional trouble." But among all the emotions that are spilling forth from Sony's leaders -- anger, fear, frustration -- a new one has emerged: defiance. Lynton told Zakaria that "we're trying to weigh the options as to how we can get this" released. Disappointment inside the studio about the lack of support from other major Hollywood players is beginning to subside. After weeks of almost nothing but silence, The Motion Picture Association of America spoke out forcefully on Friday, following the FBI's statement that North Korea was behind the late November cyberattack. Lynton, who was in New York on Friday night, awoke on Saturday morning to a front-page New York Times column that expressed "disgust" at the "readiness of theater owners and Sony to cave in to far-fetched threats." But there was also this call by the New York Daily News editorial board: "Patriotism demands: Show the movie and show it now." Meantime, the studio released another movie on Friday -- the highly-anticipated "Annie." It had leaked onto illegal film-sharing web sites after the cyberattack, but it is still expected to earn tens of millions of dollars. "It's a rare bit of good news for Sony," The Hollywood Reporter said, for a studio that needs some.